They definitely have something special inside of them, a type of fire that not many other possess. They are strong willed individuals that want to achieve something special and will do whatever it takes to get there. So why is it then that so many fail? They may have a great idea, a great product or service, all the skills and talent they need, and yet, they just can’t seem to make things work? You can’t put your Heart and Soul into your business, until you know your Heart and Soul. Many Entrepreneurs get so focused on the way their business works, rather than focusing on the main thing. Themselves! Entrepreneurs are their business. They are the brand. Doesn’t it seem logical that they should know themselves inside out before trying to sell themselves to others? I define the three things that Entrepreneurs really need to identify “before” they begin their branding and marketing. I call these three factors the “Trilogy of Success.” When you have all three of things aligned, results change, business improves, and your profits increase! Entrepreneurs must start off on the right foot, with the right mindset…….the mindset of a successful Entrepreneur! 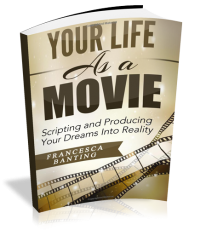 I hope you enjoy “Scripting Your Business for Success” and please feel free to share it with others that are taking the leap into going into business for themselves.